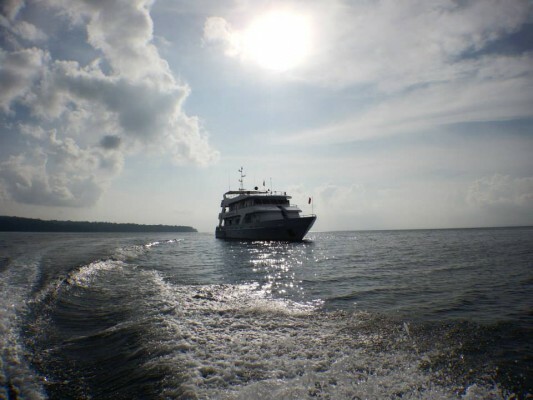 The Infiniti live-aboard is India’s pioneering scuba diving live-aboard (a diving yacht). The Infiniti does unique diving trips across various islands in the Andamans including a few remote ones that are not accessible otherwise. 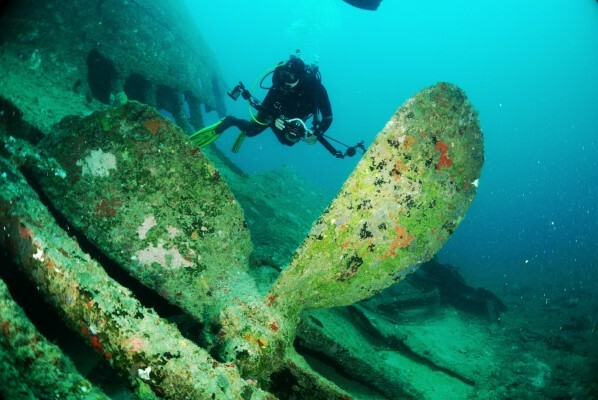 The idea is to go to the best dive sites everywhere, which are often far and out of reach of simple dayboats. On a single trip of five nights, we could journey to 4-5 islands, and include special attractions such as exploring shipwrecks or diving with bio-luminscence at night, visit remote volcanoes and mounts, etc. The Infiniti’s dive trips, listed among top stunning experiences of India, attract travellers & divers from around the world. But an Infiniti trip is more than just a lovely holiday. It is also an incredible learning opportunity. 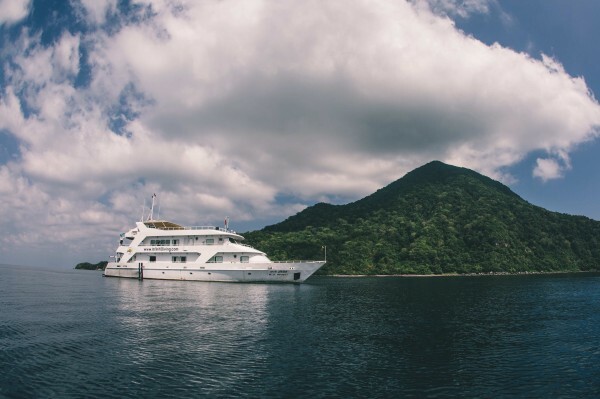 All trips are hosted & guided by an onboard expert team of pro-divers, instructors & naturalists. The Infiniti is a PADI authorized dive boat with a team of PADI instructors/Master Scuba Diver trainers who can teach diving to global standards through PADI courses /specialties. PADI courses offered range from the entry level Open Water where absolutely newbies are taught the science and skill of diving over a five night course, to Advanced Open Water course where more advanced skills and specialties are taught to Rescue Divers where experienced divers learn to perform underwater rescues. In addition, the team are qualified to teach specialties such as navigation, underwater photography, wreck diving, marine identification etc. Especially for beginners, the PADI course is an incredible learning experience that includes knowledge/theory (a quite a bit of science – physics & biology), quizzes, a final exam, training for skills and then four dives in the open sea. Upon successful completion of the course, the student will receive a certificate directly from PADI (a worldwide organization) and that certification is accepted worldwide & valid for life. You can then go anywhere in the world & dive so you could look forward to a lifetime of diving adventures. The PADI courses are eligible for college level credit in many countries such as the USA, Australia & more. In addition to teaching diving through the PADI Course, the Infiniti also includes a special “Andaman Naturalist” module in its trip. The module is conducted by onboard naturalists who are trained in marine biology. The module consists of a presentation on island ecology, marine ecology & conservation challenges/efforts, daily observations and discussions and an optional participation in real time Reef Monitoring program. On a live-aboard there is sufficient free time between dives (as there’s no separate travelling to dive sites required, the yacht just takes you there) so that time is utilized for enhancing awareness of this amazing destination with incredible bio diversiry; and for facilitating a deeper understanding of the ocean and its living beauty. The idea is to have a great time, connect with nature in a very meaningful way and to go back with a lot of unique learning. Especially if you do the PADI course on the trip, you receive a special global qualification with which you become a part of an international diving community; having learnt a completely new skill. 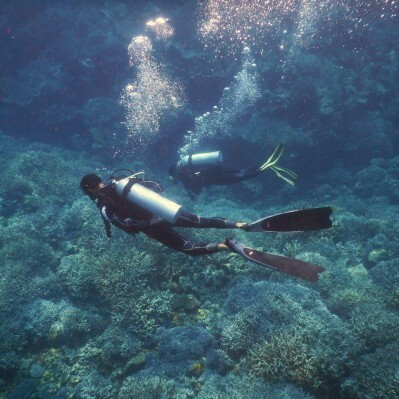 Did you know that scuba diving is an excellent way to improve physical and emotional health?